My research is motivated by a desire to understand the mechanisms responsible for generating biodiversity. Biologists have long sought to understand how changes in DNA sequences (genotype) give rise to changes in the appearance and/or behavior of organisms (phenotype). To date, most of our successes in linking genotype to phenotype have been in a handful of model organisms in the lab (e.g., worms, yeast, fruit flies, and lab mice); however, recent advances in sequencing technologies and novel statistical methods are now making it possible to study this connection in a wide range of organisms in nature. This allows us to understand not only how genetic variation contributes to phenotypic variation, but also how evolutionary processes such as natural selection act on this variation to shape its distribution in space and time in the wild. Using an integrative approach that combines lab and fieldwork and applies the tools of molecular phylogenetics, ecological genetics, and population genomics, I am linking genotype and phenotype in two systems: the deer mouse, Peromyscus maniculatus, and the pine-sawfly genus Neodiprion (order Hymenoptera; family Diprionidae). Deer mice and sawflies share several features that make them excellent study organisms, including: they are abundant and easy to find in nature; they can be kept under controlled laboratory conditions; crosses can be made between divergent populations and species; and they have many traits that are variable within and between species. To gain insight into how organisms adapt to their environment and why this process sometimes leads to the formation of new species, I specifically focus on those traits that impact the ability of individuals to survive and reproduce (e.g., cryptic coat color in deer mice) and/or contribute to reproductive barriers between populations and species (e.g., host use in sawflies). 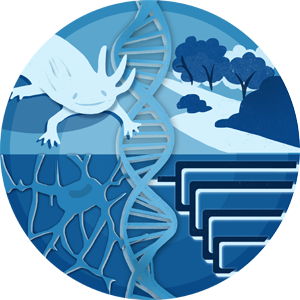 My long-term research goals in both systems are to: (1) identify the genes, mutations, and molecular mechanisms responsible for phenotypic differences between populations and species, (2) measure the strength of natural selection acting on those phenotypes and their underlying genes, (3) reconstruct the histories of ecologically important genes (gene trees) and the populations in which they occur (population/species trees), and (4) determine the extent to which the course of evolution varies across different organisms and traits. Weber, JN ;Peters, MB ;Tsyusko, OV ;Linnen, CR ;Hagen, C.;Schable, NA ;Tuberville, TD ;McKee, AM ;Lance, SL ;Jones, KL ;Fisher, HS ;Dewey, MJ ;Hoekstra, HE ;Glenn, TC "Five Hundred Microsatellite Loci for Peromyscus." Conservation genetics (Print) 11, 3 (2010): 1243-1246. Details. Linnen, CR ;Farrell, BD "Mitonuclear discordance is caused by rampant mitochondrial introgression in Neodiprion (Hymenoptera: Diprionidae) sawflies." Evolution; international journal of organic evolution 61, 6 (2007): 1417-38. Details. Students (undergraduate and graduate) and postdocs interested in joining my lab are encouraged to contact me via email: catherine.linnen@uky.edu. See here for more details on ongoing research in the lab.